How Gorgeous is the new 7 series…loved every minute exploring the cool features of this baby! Walking to the BMW showroom is always an awesome experience especially after a rough day at work when the massage chair and the warm people of BMW totally hit the spot. My last visit was particularly out of this world as I checked out the new and refined 7 Series model, which is set to strengthen its leading position as the most dynamic and innovative luxury sedan in the premium automotive segment. Thanks to Kevin and his team, I got thoroughly enlightened on all the cool features of the 7 series. BMW Middle East currently ranks as the third biggest worldwide for BMW 7 Series sales and the flagship model is consistently amongst BMW’s best-sellers across the GCC markets. The new refined 7 Series therefore, which offers new levels of luxury, comfort and power are expected to further amplify BMW’s 7 Series success story. At first, I thought there will be just some subtle additions but in fact the design and technology modifications made give the car a stronger presence on the road and provide an even more luxurious and powerful driving experience – even as a passenger in the back seat, I felt like royalty. The exterior design modifications enhance the car’s sophisticated and elegant appearance. The most eye-catching exterior feature is the new Adaptive LED headlights featuring hallmark BMW corona rings and a smart accent strip followed by the enhanced new front and rear bumper, new kidney grille and indicators integrated into the lower section of the exterior mirrors. Quality workmanship, premium materials and outstanding practicality enhance the levels of comfort in the interior of the new 7 Series. The newly designed leather seats offer optimum lateral support and unbeatable long-distance comfort and can be adapted to passengers’ needs. An optional Rear Seat Entertainment package comes with a new 9.2-inch flat screen monitor while the new 1,200-watt Bang & Olufsen High End Surround Sound System delivers unrivalled sound quality, meeting my diva level requirements. A class-leader in advanced technology, BMW’s ConnectedDrive features that give the driver and passengers information and services makes their driving experience safer and more comfortable giving the 7 Series an innovative edge over its rivals. Tailored to the Middle East market the on board iDrive control system has an Arabic interface and navigation system. In the cockpit, the all-new multifunctional instrument display behind the steering wheel meets all of the driver’s needs. Using extended black-panel technology, BMW opens up a whole new range of display options through the 10.25-inch screen, including instruments that use different colours and graphics depending on the driving mode selected, and provides situation-specific information such as status and function displays. Alongside the flagship BMW 760Li with its 12-cylinder engine and the entry-level BMW 730i engine, Middle East customers can also choose from the new six-cylinder in-line engine powering the BMW 740Li and the new V8 engine in the 750Li. It is rare to find a brand that can offer you the chance to personalize such a high-end product – the BMW Individual programme ensures that your BMW vehicle reflects your own personal taste and unique sense of individuality. The program is a specialised service offered whereby the client may specify features of the car, in order to create one’s own, unique model. The Bespoke team is dedicated to finding new paints, materials and engineering solutions in order to find new ways to develop truly exceptional cars. A BMW Individual vehicle comes fully loaded with features and options permitting the driver to convey even further their fondness for superb quality and unique styling. And to make the BMW Individual even more special it provides the customers with the opportunity to choose their favourite seams in the leather from some patterns proposed by the programme, from the stitching to the vehicle trim. The BMW customers have come to expect only the finest and most exclusive ownership experience available in the premium segment. Apart from exclusive upholstery, BMW Individual also offers interesting highlights in entertainment and information electronics for the tech-savvy clientele, including the ability to use various DVD, TV, navigation and on-board computer functions complete with access to the Internet. Naturally I like anything that’s exclusive so it is delightful to know that one can have personalized or limited edition cars from BMW. 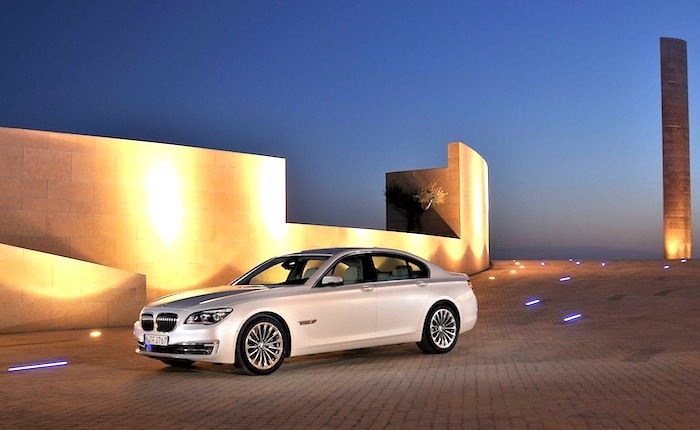 For instance, to mark the 40th Anniversary of the unification of the United Arab Emirates, BMW Group launched the BMW 7 Series UAE 40th Anniversary Limited Edition limited to just 40 cars.